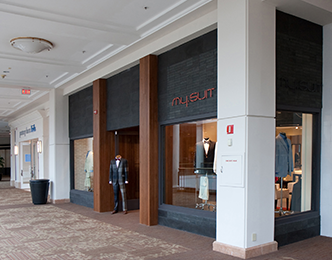 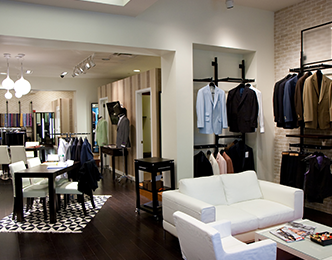 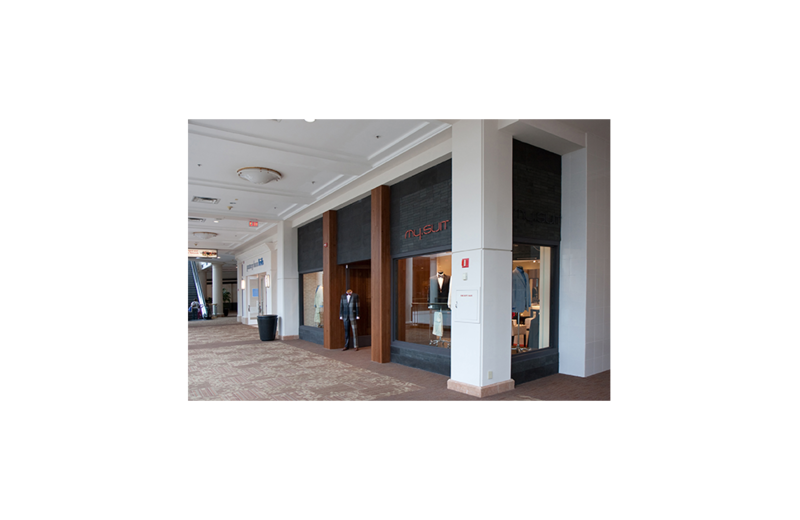 Located in ‘The Westchester’ an upscale mall in New York’s Westchester County, ‘My Suit’ is a retail store tailoring custom-made men’s suits to order. 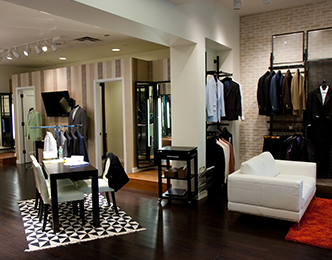 The narrative of the shopping experience is as if the shopper is moving through a bachelor’s city loft, incorporating exposed brick walls and specialty lighting to lend this atmosphere to the clients’ experience of the store. 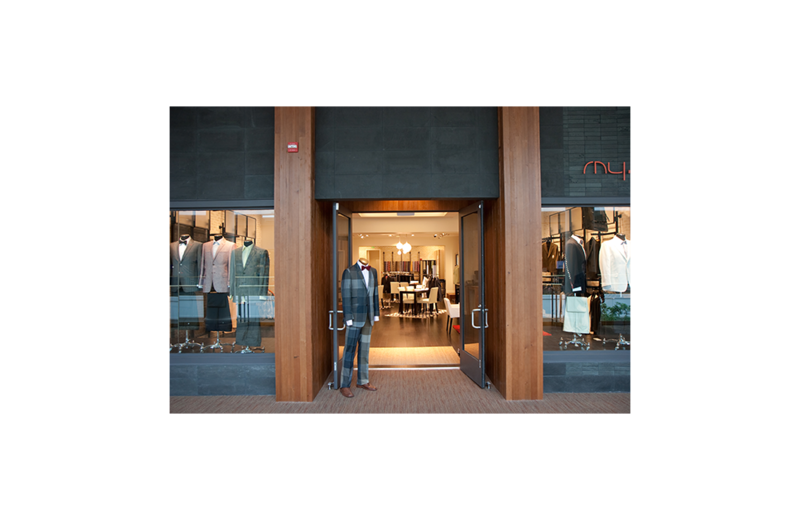 Located in ‘The Westchester’ an upscale mall in New York’s Westchester County, ‘My Suit’ is a retail store tailoring custom-made men’s suits to order. 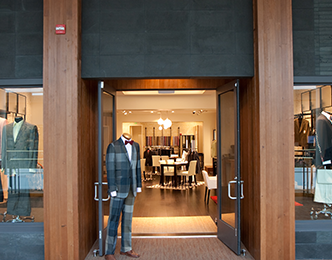 The narrative of the shopping experience is as if the shopper is moving through a bachelor’s city loft, incorporating exposed brick walls and specialty lighting to lend this atmosphere to the clients’ experience of the store. 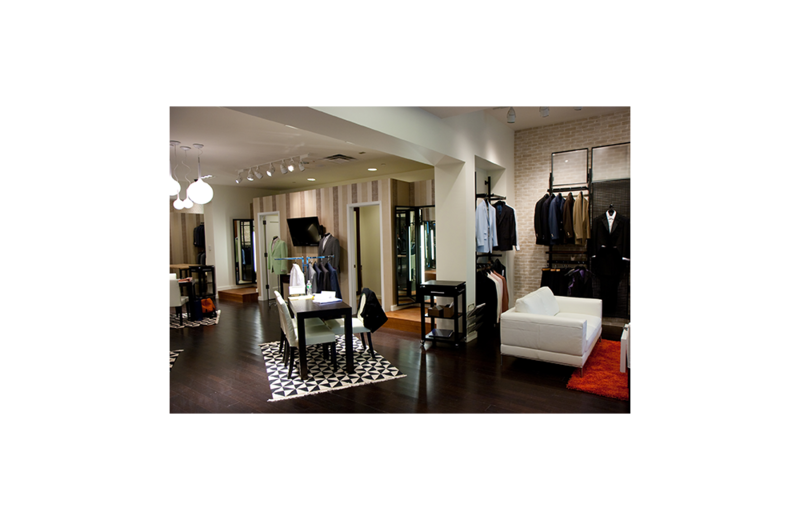 Fitting niches and consultation tables were strategically located to allow clear circulation through the store, while still providing a level of acoustic and visual privacy to the clients being measured for their suit.